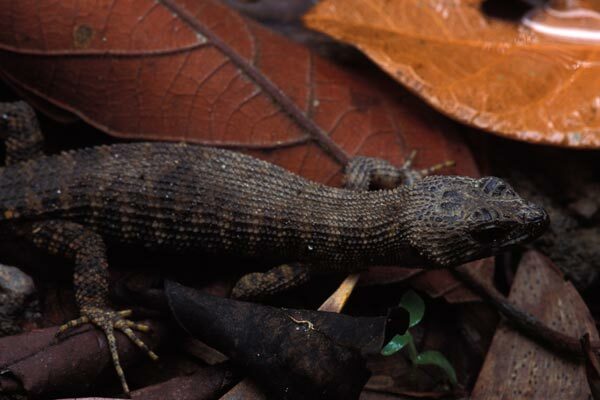 These skinks have rough, keeled scales very unlike the smooth skin of most small skinks. They are found only in tropical north Queensland, but they are rarely seen by most visitors because they spend virtually all of their time underneath logs and stones. For some reason, most visitors don't spend their time looking under logs and stones, but I do. 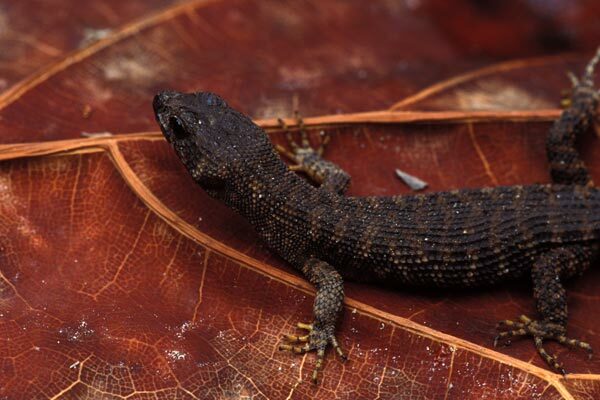 I ended up finding these prickly skinks in several locations on the Atherton Tableland. This skink was formerly included in the genus Tropidophorus.